Thinking of trying the Zone Diet? Shedding those extra pounds can be annoying and tedious. Changing your lifestyle is hard enough without the added pressure of figuring out how to do it right. Those extra pounds can cause serious self-esteem issues that can affect us at home as well as in the workplace, making our performance decrease as well as our spirits. The Zone Diet claims to help you lose those extra pounds and get your dream body through decreasing cellular inflammation and bloating in the body. This way you can have the body and the lifestyle that you always wanted. Zone diet is a program that guides you in the foods you eat as well as provides some food for order to help you along the way. The foods that it provides are low fat protein foods, which help to educe cellular inflammation in the body. This inflammation cause weight gain, chronic disease and decreasing physical, emotional and mental performance because of the way that we feel about our bodies. 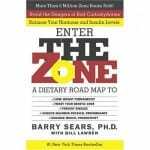 The Zone diet is explained in the book written by Dr. Sears, “Entering the Zone.” This book lays out the type of diet you need to reduce cellular inflammation and get a better body. He’s made it a sort of industry, which now includes several books, nutrition bars, fish oils, and other products that are endorsed through the website. The Zone Diet claims to have created food products that help you follow the zone diet, but these are not complete meals for an entire day or week. The diet is said to help you maintain the correct level of inflammatory hormones, helping your body get what it needs while also helping you block out what it doesn’t. This diet is supposed to help you lose the weight fast, and keep it off for the long term. This diet helps you lose the weight quickly and effectively. It is supposed to help you lose about 1-2 lbs per week, with some success stories losing weight much faster. The diet is easy to follow and is done on your own, allowing you to choose the foods you eat instead of having you order them from a website. It is hyped simply because it is in the world of diets and dieting. All of these programs get trumped up as the Next Big Thing if they show just a hint of working. The Zone Diet enjoys sustained hype because it was created and endorsed by a doctor, and it doesn’t involve any crazy fads like only eating green foods, or only eating every other day. The actual product that you buy from the zone diet isn’t that expensive, however, the food that you need to eat can get pricey sometimes. The diet is $29.95 for 6 weeks of meal plans, recipes, shopping, lists and individual counseling to help you decide what is right to buy and to cook on a daily basis. The book that explains the diet is sold for $18.47 new on Amazon.com. You don’t have to buy the food from the makers of Zone Diet, all of the food you need to follow the program can be purchased from your local grocery store. However, it can be more economical and time saving to just buy their prepared meals and bars rather than making tons of fresh veggies and fruits every day, multiple times per day. The program is for six weeks, but can be for longer if the user desires. This diet has a large commitment because of the self-reliance. Although you get individual counseling, you are responsible for choosing the right foods and sticking to the diet daily. The diet requires exercise as well as eating correctly. It is meant to be a lifestyle change, and something you can continue doing for the rest of your life for optimal health and nutrition. The diet plan is good and effective but generally tells you things that you probably already know if you have done other diet plans before. The basic message is to eat right and exercise. Before signing up for the entire program, pick up the book first and see if the program is for you or if it has anything new to offer to you. Many people found inspiration from the book, and this is a good place to start if you are still unsure about whether or not to use the program. This is a good diet plan for people who have not gone on other diets before. It basically preaches diet and exercise inspires many people in the book, “Entering the Zone.” The plan does work and allow you to lose the weight when you stick to the plans, which include both the food and the exercise programs, but you have to be willing to do them both. The Zone Diet is recommended for people who are very self-motivating when it comes to diet and exercise. It offers guidance in the way of individual counseling and offering some food products, but leaves you on your own to buy and prepare the food as well as stick to the diet. Also, only take part in this program if you are aware of the costs first, because the food can get expensive. What do you think? Does Zone Diet work or not? I absolutly love this diet. I started it a little over a week ago and i already lost 5lbs. Yes, I completely changed my eating style but i have a feeling its going to be worth it. I’ve heard of this diet before, and I recommend it if you are serious about losing weight. By getting you to eat the right things at the right times, you start making your body work for you instead of the other way around. But as good as this programme is, you have to remember that changing the way you eat, and by undertaking this diet you are going to have to make some tough changes that will radically alter your daily life, is very difficult for most people. But stick to the guide lines in the book and you will definitely lose weight in a healthy, sustainable manner.